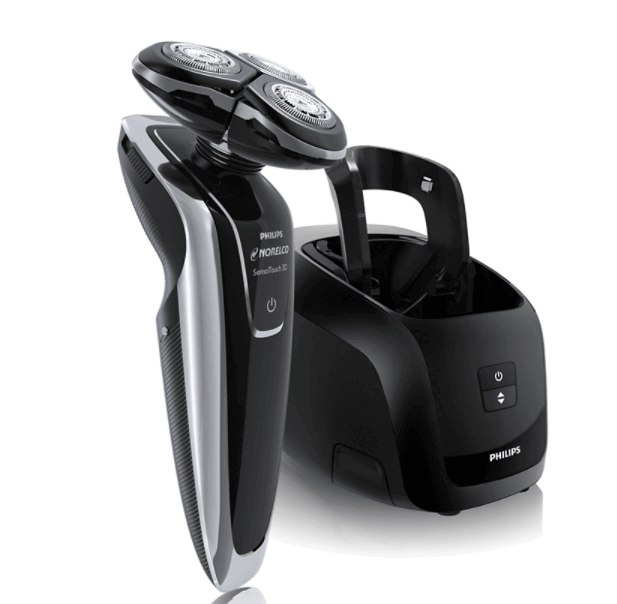 If you are looking for the best electric razor for acne prone skin, you are just in the right place. I know.. shaving itself can be a trouble. Even worse, dealing with acne, both can be a nightmare. A lot of people email us and asked what the solution is? Instead of answering one by one, we have decided to put together all the information at one place. In this guide, we will help you to find your ideal option for shaving if you are suffering from acne. Attention. If you are considering to shave with a safety razor, bear in mind that the blades can easily cut the pimples. It’s a risk. & the results? Acne scars.We highly recommend you to stay away from it. We will discuss with great details in a bit. 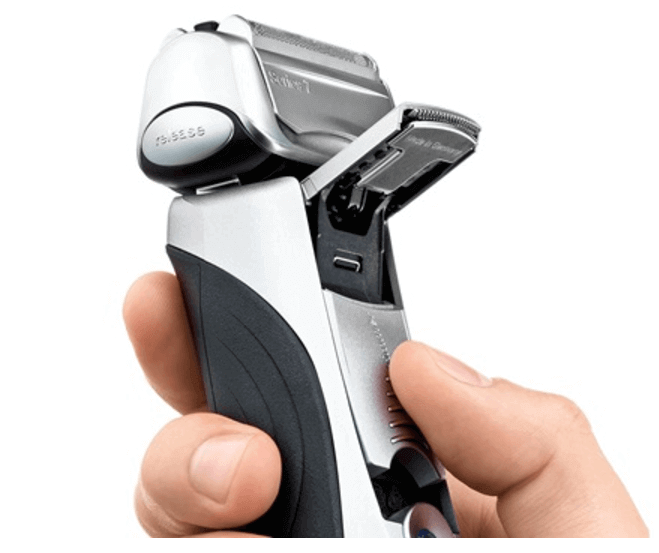 Safety Razor Or Shavers? Which One Should You Use? Question: Are electric razors bad for your skin? Question: Should I shave If I have acne? With an intelligent sonic technology which automatically increases its power in your difficult areas, it is one of the best electric shaver made for acne prone skin. It’s a great option, for those who want an extra close shave without having to worry about skin irritation. The device cuts flat lying hairs, especially in the neck and chin area. One of the cool features is it has 5 different shaving modes which allow you to tailor your shave for different facial features, from extra sensitive to intense. Battery performance is really great too. Running time is 50 minutes. With a water proof system, it is built for really sensitive skin. 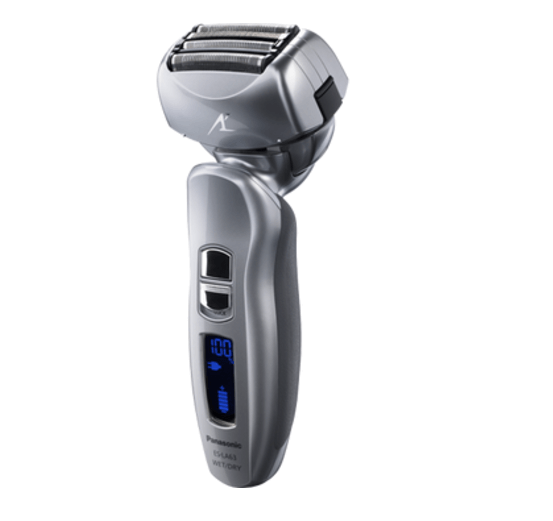 One of the best electric razor for acne prone skin. This time we got an award winning best electric razor for acne issues. It is a device with 4 blades, dual motor shaving system with precision honed 30-degree angle nano tech blades to give you maximum durability and sharpness. It’s a wet/dry device with sharp blades. But, you need to keep in mind that, change of blades is a must when they are dull. This will ensure good performance without harming to your skin. Inside the box, you will also get AC recharge & travel pouch. Both items are always convenient while traveling. Sharp blades and quality battery life. One of the low range device yet powerful. Less pricey compared to other device. Build for a smoother experience. Give one hour charge and it will be with you for the whole week. Slit foil for complete coverage. Shaving head is too large. Blades may get dull quickly. Philips is always known for their grooming products. Especially the Norelco series. Here, we are going to review this amazing razor which you can use if you have skin problems like acne. The device is one of the best fit in this category and we can’t stress this enough. It is fast and reliable. It cuts 20% faster than usual razor along with providing a simple and easy going experience. It is a wet and dry device and includes 3 optimized replaceable blades. To those dealing with acne problems, it can be a good addition as you will experience less irritation and issue at the same time. Oh. It is also one the quietest shavers out there. No noise. Wet/dry function with quick charging. Smoother experience with less irritation. 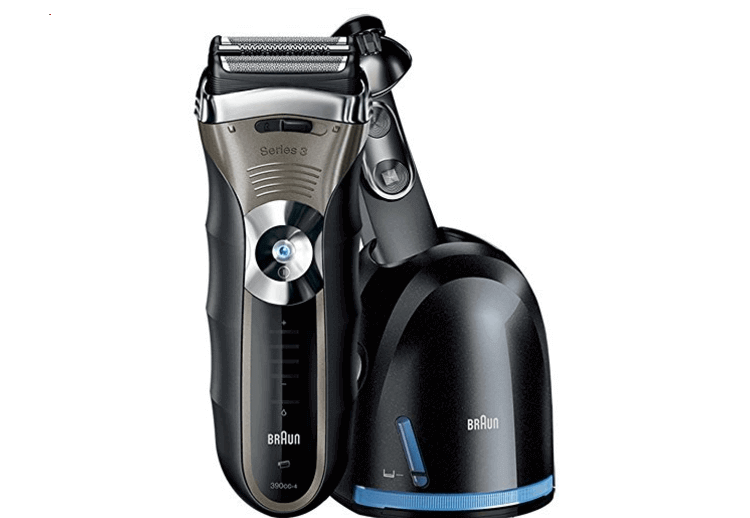 In the grooming market, Braun has made themselves as a brand close to other well-known players like Panasonic, Philips etc. Above named device is built for those who never want to compromise on their skin. It will cut both long hair & short hair with its triple action cutting system. It’s 100% waterproof and washable. Meaning, use it the way you want. Quality trimmer made for side burns or acne. Function wise it's good but no wet & dry option available. Design to trim your sideburns or acne prone skin. Can be rinsed under running water. 4 stage Battery indicator for your convenience. The battery is good but not up to the mark. Not a wet & dry option. Remember the caution section in the beginning? Let’s discuss why you should use an electric shaver if you are having acne issue instead of a razor. One of the main disadvantages of using any sort of razor ( even safety ) is their not so friendly blades. Usually, when you use a regular razor, they cut very close to the skin. And it heavily increases the risk of cutting your pimples and ended up with acne scarring. Well, technology has gone much deeper and advance level. We now have solutions for everything (except death). An electric shaver is a perfect solution for an acne prone skin. Their inbuilt blades are more friendly than razors and do not come very close to your skin. In result, they reduce the chance of breaking or cutting your pimples on a large scale. & of course, worry free shaving. It is more important to choose one that is just built only for that specific purpose only. Here, are looking for the best electric razor for acne prone skin. It will save you from skin irritation, pain and grief while at the same time allow you to fully enjoy and worry free shaving. Although, we have provided the very best and top electric shaver for acne, read through the buying guide provide below. It will get you some more information on the topic and save you in the long run. While some people still argue if electric shavers are good for acne or not, there are still major benefits you can get from it compared to regular shaving. We are not trying to re-invent the wheel but, want to stress out some major points that you are getting after switching from razor to shavers. Their blades are more skin friendly. They do not cut through your pimples. They offer reasonably close shaves with no or very little effect on your existing acne. Can be carried along with your journey. Not time-consuming. Just plug in and ready to go. Fewer cuts, burns or even razor bumps. No matter what you use, there are few rules you need to follow in order to experience a smooth and elegant shaving experience. -> Hot water softens skin and facial hair. So wash your face with some hot water before shaving. It will release up the pores. -> Always shave with the direction of your hair. I see a lot of people do it against the grain. Sure, it will give you some really close shave. But having acne issue, it is not a recommended advice. -> Do not forget to apply the per-shaving wash, cream or gel. There are few products designed specially designed for acne. Will walk you through in our next post. -> Shave at least once in a week. That way, you can minimize the pressure it needs during shaving. See, if you grow a long beard, it becomes pretty hard or needs extra pressure to cut everything.​ Acne skins need really extra care with softness. You get the point right? -> Try to avoid passing the razor more than twice over acne prone areas. If you do so, more irritation. Meaning more pimples. -> If the trimmer is washable, immediately wash it after finishing the job. -> Go easy. Do not rush while shaving. If you have important work, do it first rather than trying to rush all the way and causing more problems. This is important. There are hundreds of products out there. But not all of them will do well. Especially for acne or sensitive skin. So, to choose the best electric razor for acne prone skin, you need to have some sort of technical knowledge. When you are shaving in your acne prone areas, you need to pick something that provides comfort. Yes. It’s super important. You don’t want to hurt your face every time you shave. Right? Products we have included here almost capable of superb comfort and flexibility. It should glide smoothly across your skin and will deliver a clean shave without pulling your hair. They also should be lightweight and easy to hold. You know how important it is. Right? Blade plays a vital role in your shaving experience. It is also the reason we try to avoid classic safety razor. The lesser the number of strokes, better it is. Acne skin needs less touch between skin & blades. Thus, a perfect razor with sharp blades ensures you have minimal skin irritation and less chance of cutting, inflaming or any other risk possibilities. The best shavers for acne come with foil guarded blades or a beard trimmer to minimize the contact between the blades and pimples. I kid you not, it’s very serious. Especially for acne prone skin. You cannot just pick any random shaver and call it a day. We suggest you invest in a premium tool that will give your skin less pressure and superb shaving experience without having a second thought. Though it is not highly recommended, still if you find one, just grab it. No one goes for messy things. Your device should be too easy to clean. So that next time you do not get irritated from previous seasons. Answer : In general, if you use any electric shavers, it should not give you any acne problems. Acne develops on the chin or any other place where shaving has taken place. It happens due to the cutting of hair follicles far below the skin. If we use the usual razor, the blades cut very close to the skin and increase the risk of damage. While on the other hand, best electric shavers which are designed for acne prone skin, never go extremely close to your skin yet give you a close shave at the same time. It plays a great role in avoiding irritation & subsequent acne. Most importantly, you will face almost ﻿﻿zero a﻿﻿cne problems﻿﻿. Answer: Ok. That’s a very tricky question. As we are dealing with acne prone skin, you must wash your face with some hot water. That is a must to follow part. But, you do it before or after shower – it depends on your preference and situation. From our experience, you should shave with an electric razor before you take your bath. For regular acne free people, they can do it even after taking shower as well. Try to do both in a week. If you feel any difference, then go with whatever your mind says. Simple. Remember, shaving is more than simply keeping your face nice and smooth. Kids learn to shave from their father. As he grows up, he tries to imitate the same. At a certain point, he can decide what kind of blade touches his face. It becomes even more important if you have skin issue like acne. You must take care of your skin in every step. That’s where tools like electric shavers come in handy. They are perfect in just everything. Answer: See, you can sit all day long and wondering should I shave or not. But the fact is, your beards or facial hair are going to grow no matter what you do. In this case, think what would be the ideal situation for you. There is no rocket science here. But what you use matter a lot. No regular razor, no fancy tool. There are few tips we would like to mention while using your device. These are not absolutely necessary but help you to have a smooth and flawless experience. Ensure your blade is sharp. Your device should be light weight. Hold it with your most used hand. If you are a left-hand person, do it with your left hand only. Do not try to switch. Use pre-shaving oil or hot water. Once you were done, always try to clean your device. It will ensure your device's longevity. Acne is a terrible nightmare. I know. But along with some care, you can stop it. In future, we will bring you some actionable tips that you can easily follow to prevent acne. For now, get one the best electric razor for acne prone skin we have mentioned here. I know that the price are really high end, but it's a one time investment. Also, it is very risky to use products from UN- trust able brand. At least we do not do here at beard mantra lab. Anything to add? we would love to hear from you. See you in the comments.